This pilot study examined the use of a simulation classroom in helping teacher candidates enrolled in a general methods class adjust their communication for English learners (ELs). Surveys were administered to teacher candidates asking them to report their sense of efficacy in meeting the needs of English learners. According to survey data, the teacher candidates clearly articulated that they felt prepared to educate English learners in mainstream classrooms as a result of course work. However, after some students participated in a lesson simulation experience, many participants reported a need to improve their skills in communicating with EL students and that the simulation classroom provided a real-life experience of working with ELs in the classroom. The question of validity was raised regarding teacher candidates’ self-reported sense of efficacy based upon knowledge without implementation. Also, an argument is made for providing teacher candidates with experiences where they can receive coaching and immediate feedback, such as the experience offered by the simulation classroom, prior to teaching in an actual classroom setting. Regalla, M., Hutchinson, C., Nutta, J. & Ashtari, N. (2016). Examining the impact of a simulation classroom experience on teacher candidates’ sense of efficacy in communicating with English learners. 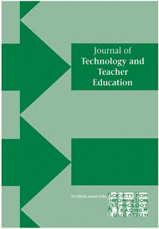 Journal of Technology and Teacher Education, 24 (3), 337-367. Waynesville, NC USA: Society for Information Technology & Teacher Education. Retrieved April 22, 2019 from https://www.learntechlib.org/primary/p/171498/.